LONDON: British-Pakistani actor Riz Ahmed has offered to write the script for the first Muslim origin superhero, Ms Marvel, which has been creating waves worldwide. Ahmed’s suggestion stems from the fact that he is British-Pakistani, while Kaling has an Indian heritage and Nanjiani is Pakistani-American. 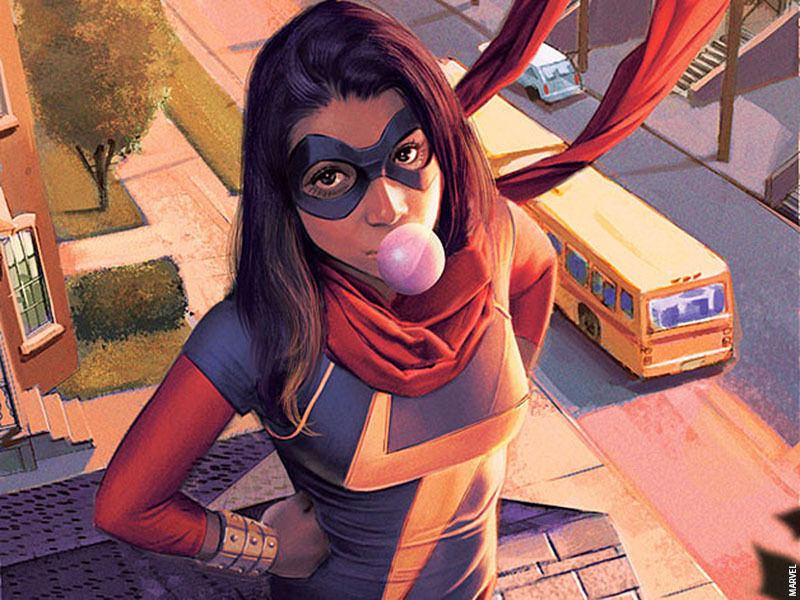 Ms Marvel was created by editors Sana Amanat and Stephen Wacker, writer G Willow Wilson and artist Adrian Alphona. Khan is Marvel’s first Muslim character to headline her own comic book and made her first appearance in Captain Marvel #14 (August 2013) before going on to star in the solo series Ms Marvel in February 2014. Khan is a teenage Pakistani American from Jersey City, New Jersey with shapeshifting abilities and assumes the mantle of Ms Marvel from her idol, Carol Danvers after Danvers becomes Captain Marvel. In a BBC interview, Marvel president Kevin Feige revealed that after 2019’s Captain Marvel, the studio will be planning a Ms Marvel film. In the Marvel comics, Ms Marvel is inspired by Captain Marvel to become a hero. Feige also mentioned that the studio is currently filming Captain Marvel with Brie Larson in the lead. Following the events of Avengers: Infinity War, Captain Marvel will have a huge role to play in the Marvel Universe starting with Avengers 4.